But first, Happy Evacuation Day! Never heard of it? You’re about to. I often take it for granted that so much of America’s history happened right here in Boston, and I really shouldn’t do that. 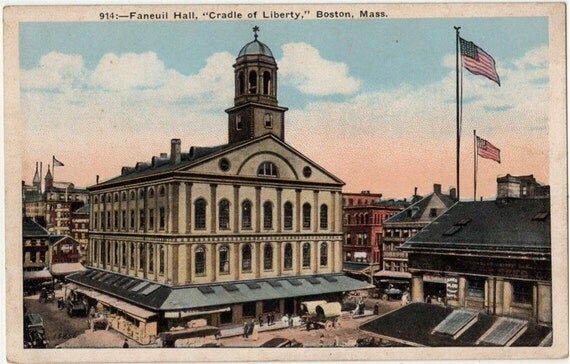 For a history nerd, it’s amazing that I can walk past Paul Revere’s house on my way to get pizzelle cookies from the North End, and cross right over where the Boston Massacre occurred on my way to get a sesame salted pretzel from Quincy Market in Faneuil Hall or a Bloody Mary from the Union Oyster House, America’s oldest restaurant. I know what you’re thinking…but I can assure you that not all my Boston history references are food-based. I have peeked into the room at Peacefield where John Adams died on July 4, 1826. 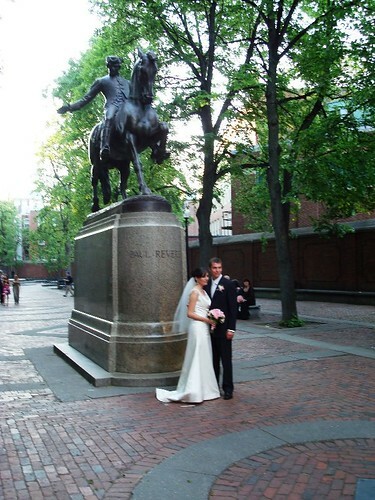 My cousin Jaime got married in the Old North Church (one if by land, two if by sea – THAT church) and they posed for pictures next to the Paul Revere statue outside. Boston is steeped in history, like a strong cup of tea. We have some holidays around here that are pretty exclusive. Evacuation Day is one of them. 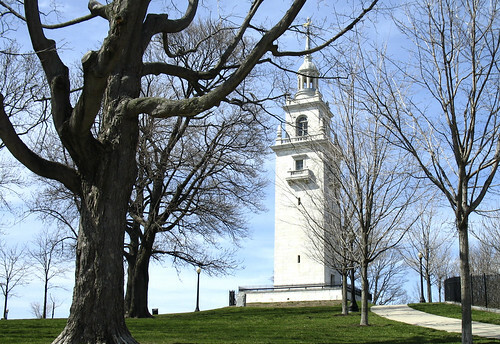 It began when Continental troops were able to position 55 cannon (captured from Fort Ticonderoga –best fort name ever) on top of Dorchester Heights just outside Boston. Seeing this, the British knew they knew they could no longer hold the city, so they made a deal with Washington. If they agreed not to burn the city, the Americans would allow the Redcoats and 1,100 Loyalists to depart safely for Nova Scotia on March 17, 1776. The event is considered George Washington’s first victory in the American Revolution. Bloodless but significant. Some 125 years later in 1901, the mayor of Boston proclaimed March 17th a legal holiday in Boston and Suffolk County to commemorate the event. The fact that Boston is heavily Irish and March 17th is another big holiday was a happy coincidence, I am sure. Amazingly, schools and government offices are still closed today in Boston on Evacuation Day. I love it, but I am jealous because it never extends to where I work. Yes, the capital of New Hampshire is also called Concord, but is Bachmann an exception or do a lot of people not know that Concord and Lexington and that famous shot happened in Massachusetts? I was born there, but let me tell you, nothing happens in New Hampshire except tax-free shopping sprees…and the occasional presidential primary. Patriot’s Day today means the day off from school, the Boston marathon, and (for some) the day off from work. Concord celebrates with a live re-enactment every year that is really something to see, mostly because Concord is still such a beautiful town. Which brings me back to that burrito. John and I passed through the charming and beautiful Concord town center last weekend, and stopped at the Main Streets Market & Cafe for coffee and breakfast. We both got the breakfast burrito. 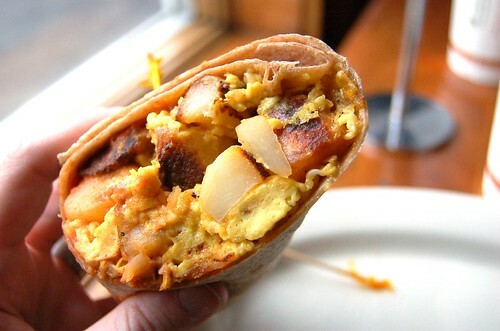 It was a whole wheat wrap with eggs, salsa, cheese, and fried potatoes. This is a real winning combination. So, Happy Evacuation Day…and I guess Happy St. Patrick’s Day, too. 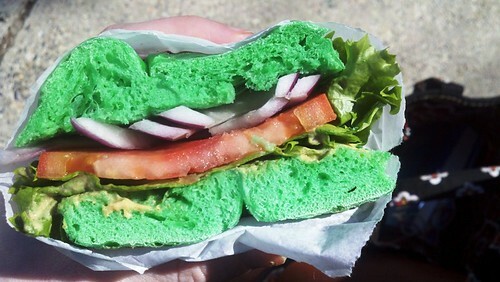 I celebrated that other March 17th holiday by having my just-about-daily Breugger’s sandwich on one of their limited-edition green bagels. The Bruegger’s staff at the 375 Longwood location are all superstars, and a big part of my Monday – Friday. Never change, ladies and gentlemen…and never cancel the bottomless mug club. Did you know about Evacuation Day if you’re not from Boston? Does your city or state have any of its own “unique” holidays or celebrations? I didn’t know about Evacuation Day or Patriot’s Day until I moved here. And actually Evacuation Day isn’t really supposed to be a holiday anymore, though my fiance still had it off (and it sounds from thew news that most people on Beacon Hill did too). I took today and tomorrow off from work to spend some time hanging with him and frolicking in the sunshine. That burrito looks tasty, and I was actually impressed that most of your Boston history was connected to food! I love that your history tour through Boston is food-themed. It makes me happy to know I’m not the only one who thinks that way. Fun post! Aw, thanks Molly! I have big plans to do a food-themed Freedom Trail walk once it’s offically spring. All that food and history will have me in hog heaven! I’ve never heard about Evacuation Day, but a recent Boston transplant told me about the Molasses Flood! I’d never heard of evacuation day–I’ll have to ask my husband (who is sure to know about it–he’s an American history PhD student). 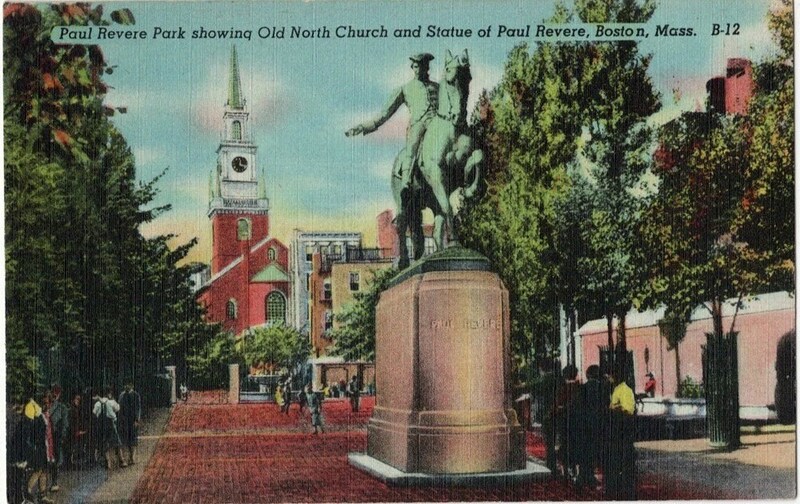 I’d love to visit Boston some time because of its rich history–I wish we had gone when we lived on the East Coast. Now that we’re in Chicago it will be a little more of a trek for us. great post! I heard about it on the radio (sometimes I tune into the Boston NPR station), but didn’t know what it was. Great explanation. and that burrito looks amazing! I did not know about evacuation day, but I’m willing to bet my SIL does as she grew up in Stow, MA. 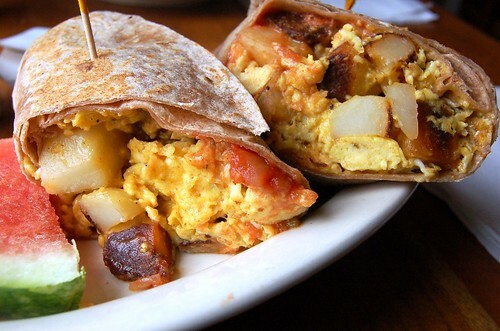 That breakfast wrap looks so good! I love a good wrapped up morning treat like that. A perfect start to the day! I’ve never heard of Evacuation Day…but I’m not from Boston – just a lover of the city and frequent visitor. Here in Perth, Western Australia, we celebrate the Queens Birthday which I thought, as an American, is pretty interesting. The funny thing is that it’s not the present Queen’s birthday they celebrate – it’s Queen Victoria. I wonder how Lizzie feels about that one?